No one likes to think about growing old. In fact, many people pretend that it’s never going to happen. But instead of fearing the inevitable, it’s better to plan for it. In addition to starting to save for retirement at an early age, it’s important to think about what you’re going to do if your health starts to decline. According to AARP, by the time you hit 65, chances are 50-50 that you’ll need long-term care (LTC) due to chronic illnesses, disabilities or other conditions, such as Alzheimer’s disease. And it’s not cheap; if you pay for it yourself, you’re looking at an average annual cost of $140,000. LTC insurance can help. LTC insurance is different from health insurance, which you’ll still need. It helps cover costs that your regular health insurance won’t, such as help with daily activities like bathing, getting dressed and eating. 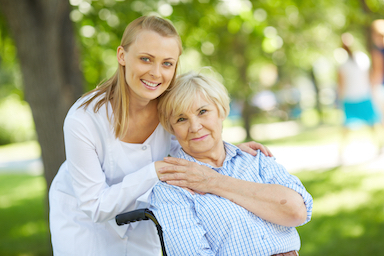 These services may be provided in your home or at a nursing home or assisted living facility. Unfortunately, LTC insurance is cost-prohibitive for many due to poor planning on the part of insurance companies. When these policies were first introduced, insurers greatly underestimated the amount they would pay out in claims. People were living longer, but they weren’t necessarily staying healthier, so insurers were paying for care longer than they had anticipated. In addition, insurers thought people would prefer to receive care in their homes, but many opted to move into more expensive assisted-living facilities. As a result, many insurers stopped offering LTC insurance. In 2000, 125 companies were selling standalone LTC policies; by 2014, only 12 companies were. Those that still do sell them have raised their premiums drastically. For example, earlier this year, Mass Mutual announced it was raising premiums on existing policies by 77 percent. Today, premiums average $2,700 a year. There are options you can consider if you can’t afford LTC insurance. Maybe relatives can help with your care. Maybe you can pull some equity from your home. Maybe you can build up your savings even more and plan on paying for future LTC out of pocket. Begin your search in your 50s or early 60s at the latest. Prices rise sharply as you age. You can pay 10 percent more for a policy when you buy it at age 65 rather than at 64. Keep in mind that you won’t qualify for coverage if you wait until you actually need care because then you will be considered as having a preexisting condition. Shop around. Like with any other major purchase, it’s important to do your homework and research your options. If the process sounds daunting, you might want to consider getting assistance from an insurance agent or broker. Look into group rates. Premiums may be more affordable if you qualify for a group rate through an employer-sponsored plan or plan offered by a professional organization you belong to. Before you sign up, be sure to read the fine print and find out if you can keep the policy if you leave the organization. Consider a joint policy. You may get a better rate by purchasing a single policy that covers you and your spouse or another family member. The discount is typically 30 percent off the price of separate policies. If you’re interested in going this route, you’ll want to find out what the maximum benefit is for everyone under the policy and consider whether that will be enough for both of you. If you do purchase an LTC insurance policy, be sure to keep all related paperwork safely stored on InsureYouKnow.org along with all your other important documents. It’s the best way to make sure you can find them quickly and easily should the need arise. Should You Choose a Bank or a Credit Union? Copyright © InsureYouKnow.org. Website Designed by My House of Design. Disclaimer- We’re not here to sell or advise you on insurance or financial matters. We’re here to ensure you don’t forget or lose this important information when you need it most.